Bob and Carol Bridge are often referred to as “The couple that knows everyone.” They are the epitome of friendly neighbors and have loved meeting and supporting the people of Fulton County through involvement with work, family, and organizations. The Fulton County Community Foundation has been an opportunity for Bob and Carol to be involved not only in Rochester but also in many other areas of the community. The two had also been involved with the Community Foundation previously. 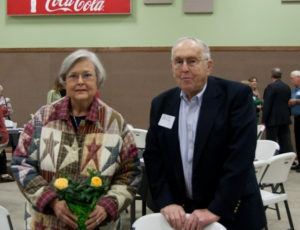 Carol was one of the founding members of the first Fulton County Community Foundation Board and Bob served a three-year term on a later board. They saw the Community Foundation as a way to support everything they were passionate about in the community.